A few months ago curator, Stuart Pilkington, asked me to work on a new project called The Chain. The Project operated similar to an old parlor game called Exquisite corpse. One artist thinks of a title of an image. The title then gets passed on to the next artist and they have to make an image based upon that title. I was given the title 'Make love to me.' At first I really was uninspired by the title. But as it settled in I started to think about lover's lanes and found out about a lovers lane beach in New York near Coney Island. I drove out there with my camera totally unsure of if I would find anything I could use but I had to start shooting. 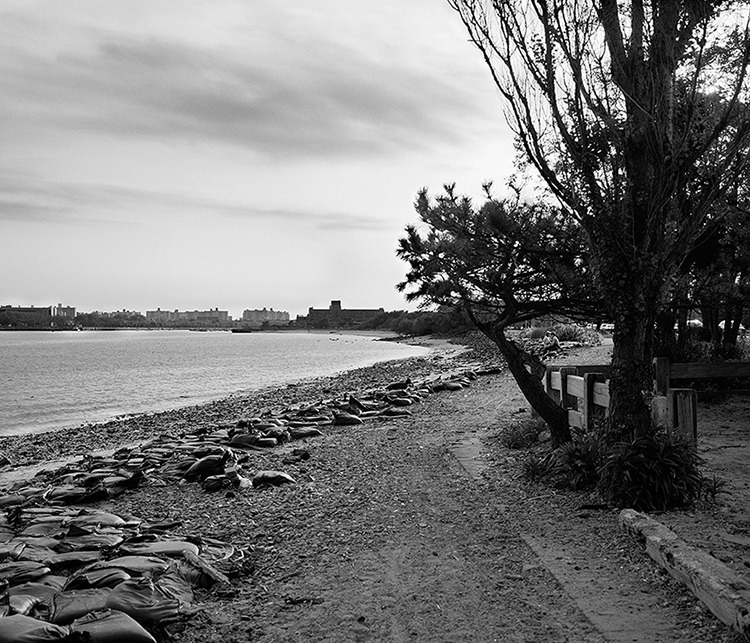 Below is the final shot I submitted for the The Chain and it is the first frame I shot of that beach walk. I'm still working on the rest of the images I made that day and I'll be posting more about what they are in the future. Needless to say it was a very productive walk on the beach.